A person or a company can sell a share of a stock that they do not own. This is called shorting a stock or selling short shares of a stock. 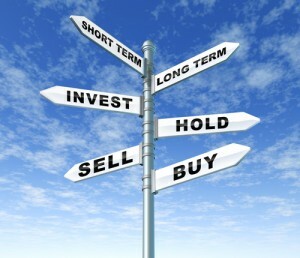 Investors short a stock when they believe that the stock’s share price will go down in the near future. Eventually, someone will have to purchase the shares that have already been presold in essence. The short seller hopes to then buy back the shares that he has presold at a lower price thereby earning a profit on the price change. An investor can monitor the changes in the amounts of short selling in order to get a feel for which way the stock’s share price may be heading. What Is The Short-Interest Ratio? The number of shares that have been sold short is called the short interest. You can find the percentage of a company that investors have sold short through large websites such as Google Finance, Yahoo Finance, The Wall Street Journal, and other publications. For example, out of the 3.93 billion shares outstanding of Sirius XM Satellite Radio (Stock Symbol: SIRI), 224.3 million of them have been sold short. That equates to a short-interest ratio of 5.30% as of December 15th, 2010. Increased short selling implies that the price of a stock well go down in the future at some point in time either over a short time horizon or a slightly longer one. Many investors see short selling as a means of forecasting trouble for a company’s stock price, and they use the short-interest ratio as a means to track how much negative association there is with a particular company. Investors often consider a short-interest ratio of ?? to be particularly bad threshold. A company’s stock is often considered in trouble with a larger the short-interest ratio. If an investor buys shares of a stock, there is a floor to his or her investment. There is a set amount of money that the investor can lose. The price of a stock can sink all the way to zero. But, the same is not true for a short seller. A stock’s price can technically rise infinitely. If the price of a stock the has been sold short rises instead of falls, investors who are short can get squeezed in what is called a short squeeze when they have to buy the shares back at a higher price than what they sold the stock for originally. During a short squeeze, short sellers have to buy back their stock positions or risk losing more than their initial investment. The short sellers’ additional stock purchases placed added pressure on the stock price which will continue to increase during the short squeeze thanks to the laws of supply and demand as more shares are being demanded for purchase. A high short-interest ratio implies that investors with knowledge of the company may see troubling times ahead and are expecting a decline the company’s stock price. A high short-interest ratio is a very bearish sign for a stock. But, a short squeeze shows that money can be made on both the long and short positions of a stock. Only after careful consideration should a stock be sold short, and the short-interest ratio can help an investor find the right timing to buy shares.